We will have the Board Breaking for Puppies Black Belt Community Service Project on the afternoon of Thursday, February 28. This has been organized by Mr. Gavin Boggs as one of the parts of his promotion exam for 1st Dan. 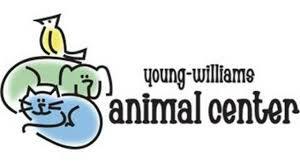 We will host a set of Board Breaking Workshops in support of the Young Williams Animal Center. This is open to Honors Students ages 6 and older. Both Tigers and Fundamentals students will also be allowed to participate. With our Tigers and Fundamentals students, we will carefully go over board breaking basics, and then the student will have the option of trying their first board break. No one will be required to attempt a break if they don’t feel ready for this. Regular lessons will not meet on Thursday between 3:30pm to 7:30pm. Teen & Adult lessons will meet as scheduled starting at 7:30pm. Please follow this link to download your workshop schedule: Board Breaking Workshops Schedule February 28, 2019. Participation will count for 2 Class Credits. Please register at the school if you plan to participate, or get in touch by phone or email if you will be attending.